In lieu of flowers memorial donations may be made to the El Dorado Springs Church of Christ (302 E. Hospital Rd., El Dorado Springs, MO 64744) for the Emmanuel Ogbonnah Fund. 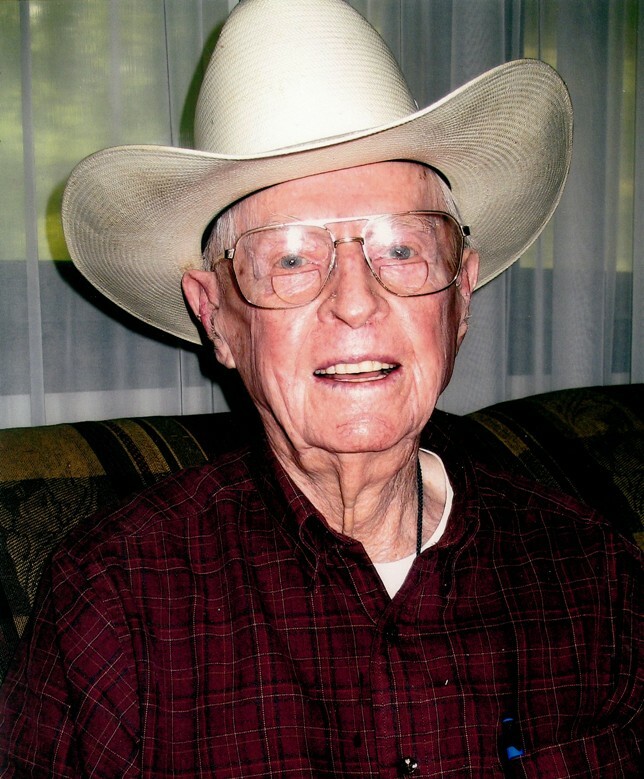 Everett J. Hopper, age 100, passed away peacefully on Wednesday, February 3, 2016, in Cedar County Memorial Hospital, El Dorado Springs, MO, surrounded by family and friends. He was born October 16, 1915, on a farm in Fount, KY, the son of Richard and Nellie (Cottingim) Hopper. Everett went to grade school in Fount and graduated from high school in Barbourville, KY. Everett began his college education there at Union College, studying biology and preparing to teach. In 1938 he married Thelma Humfleet and left school to be a teacher in Harlan, KY, teaching woodworking and manual trades. They were married for sixty-nine years until her death in 2007. At the beginning of WW II, he took his family to Michigan and worked at Willow Run in their shop creating highly accurate models for B-24 bomber parts. While there he also studied architecture by correspondence. After the war Everett returned home to Kentucky and worked as a building contractor. In 1952 the family moved to Florida where he built homes and encountered something that would be very important in his life from then on. He became a leader in the Pinellas Park Church of Christ, serving as a teacher, an elder, a supporter of missions and an encourager of several young men who credit him with directing them into the ministry. Later he would continue this same work with the El Dorado Springs church. In the sixties, Everett and Thelma decided to return to Union College and finish their degrees. Afterwards, Everett taught elementary school and later ninth grade mathematics. When they retired from teaching they moved to El Dorado Springs to be near their daughter, Pat. Anyone who knew him could see his energy and enthusiasm for anything he did. In his younger days he was a talented athlete, playing football in college, and was an ace pitcher for the Barbourville City Baseball Team, playing teams from Kentucky, Tennessee and Virginia. He was an avid hunter and fisherman, with a bearskin rug to prove it! Preceding Everett in death were his three sisters, his daughter Pat Andrews, and his wife Thelma. Survivors include his daughter, Zoe Baxter and husband Jim of Bolivar, MO; his son, James Hopper and wife Marti of Danbury, CT; grandchildren: Joel Baxter, Risa Baxter, Michael Hopper and family, Paul Hopper and family, Daniel Hopper and family; and nine great-grandchildren. Funeral services for Everett Hopper were held on Saturday, February 6, 2016, at 3:00 p.m. at the El Dorado Springs Church of Christ. Arrangements were under the direction of Bland-Hackleman Funeral Home. Interment will be in Barbourville, Kentucky, on February 10, 2016. Pallbearers were: Steve Wiseman, Andy Gonzalez, Joe Barger, Donald Dean, Michael Hopper, and Joel Baxter. Honorary pallbearers were: Paul Hopper, Dan Hopper, Walt Truitt, and Bud Stover.